Having just seen the sights at Niagara Falls, we fired up the trusty Happy Cow app and found our lunch destination. 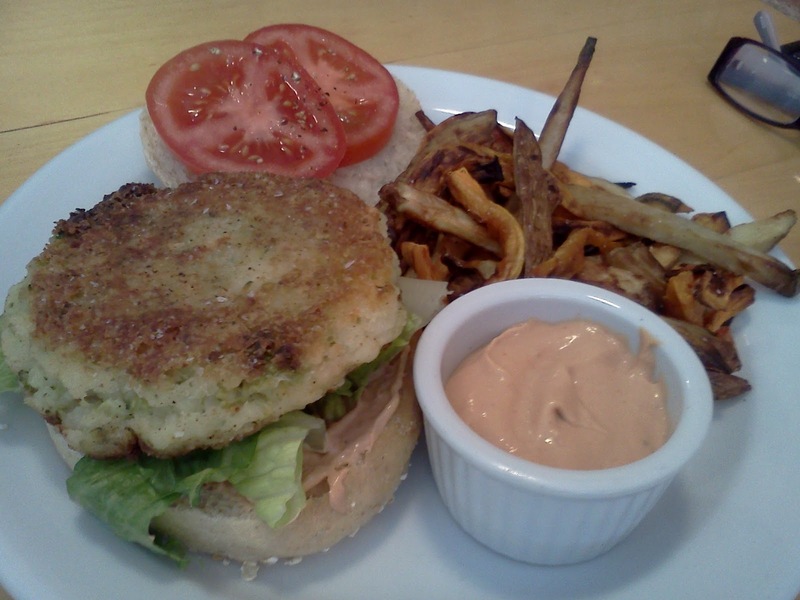 Rise Above began as a vegan bakery and has grown into the area's only totally vegan lunch and dinner spot. 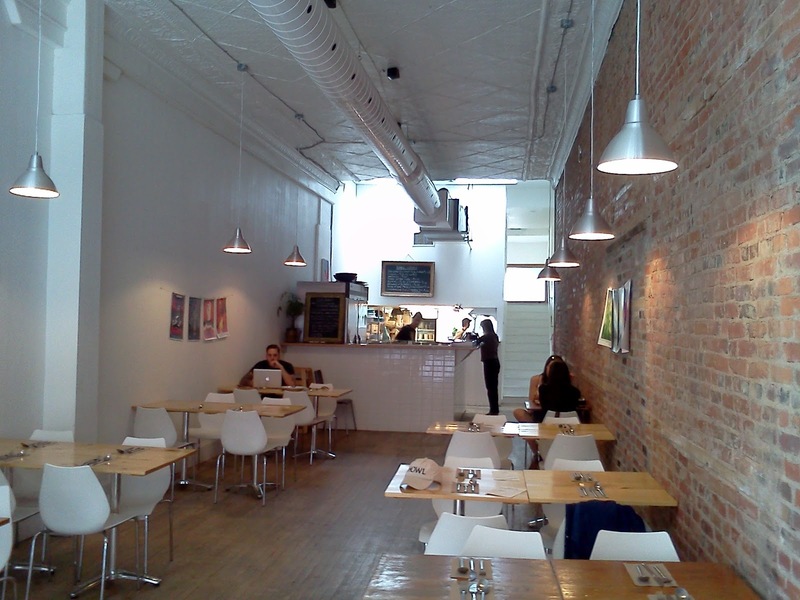 Located in St. Catharines, Ontario, about 25 minutes northwest of the falls, Rise Above is a narrow storefront, exposed brick, high metal ceiling....very modern, clean look. There's a lunch menu and a dinner menu, one on either side of a single sheet of paper. 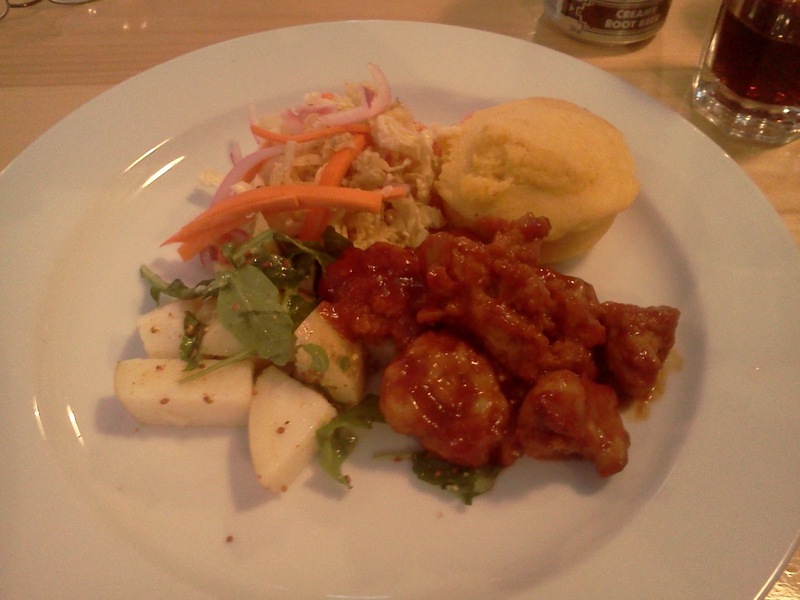 It's not a vast menu but everything we tried was excellent. Fresh, hearty, simple and, most of all, delicious! St. Catharines itself is pretty cool with kind of a funky vibe of its own....not quite New Hope but totally Red Bank if you know what I mean (Sky says: And you probably do if you're from NJ or thereabouts). In the interest of full disclosure, Rise Above still does some amazing vegan baking and that's actually what first drew our attention. No cupcakes but great brownies, turnovers and filled doughnuts as well as peanut butter cups and chocolate coconut haystacks. We got two doughnuts and two candies to go and ate them later back at the hotel. Yes, they rocked! Mom had the pizza of the day: olives, red pepper and onion with Daiya cheese. Again, everything was wonderful! Fresh, flavorful...really perfect. Then came dessert. We ordered one dessert, their signature specialty....cheesecake for one served in a small Mason-type jar complete with screw-on lid! I've never seen anything like it! It's available in blueberry, strawberry and my personal choice (and recommendation) cookies and cream. This thing is CRAZY GOOD!! 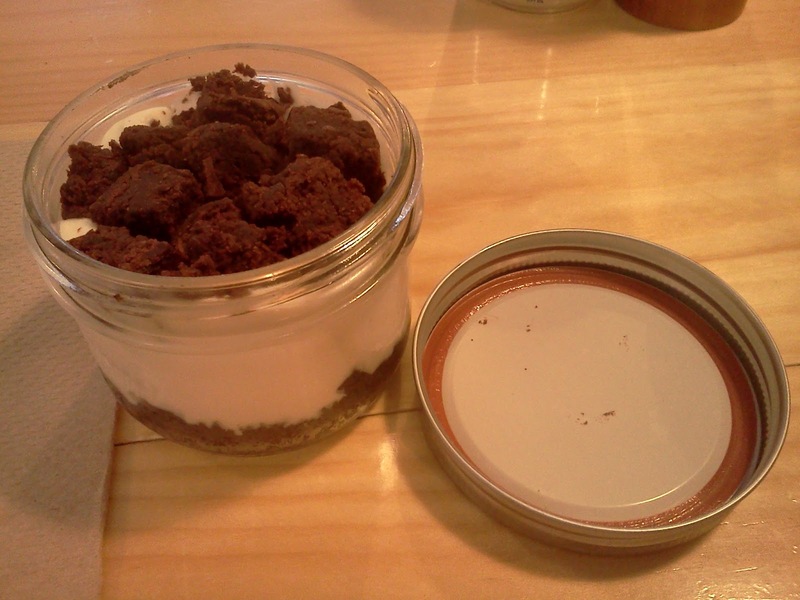 It's like a giant, overstuffed Oreo exploded in a jar! 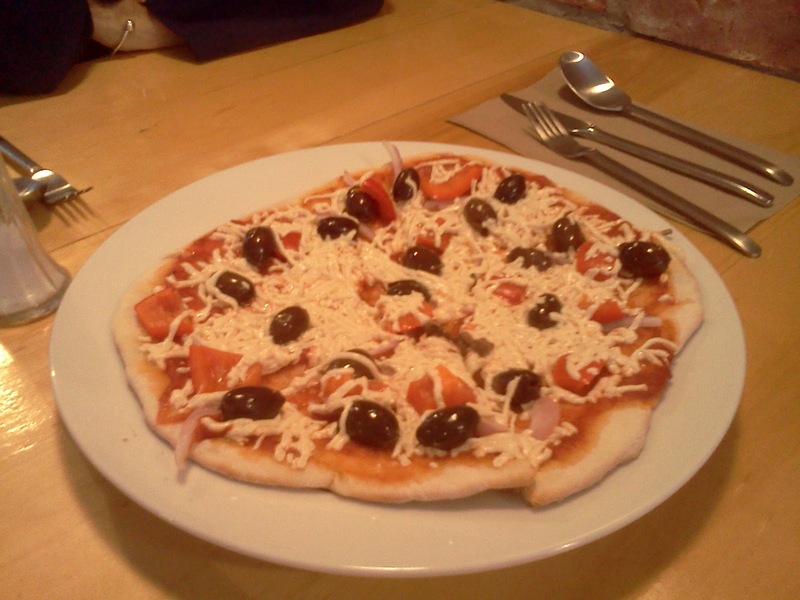 I ordered it for myself but needed help from Joan to finish it; it was that rich. For me to share a dessert is unheard of but to need help to finish one...unprecedented! On yet another occasion we enjoyed even more flavorful menu items like this unique potato, broccoli, and Daiya burger with root veggie fries. 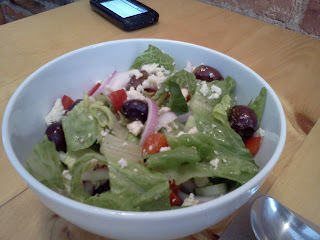 And this Greek salad with almond feta was yummy too! 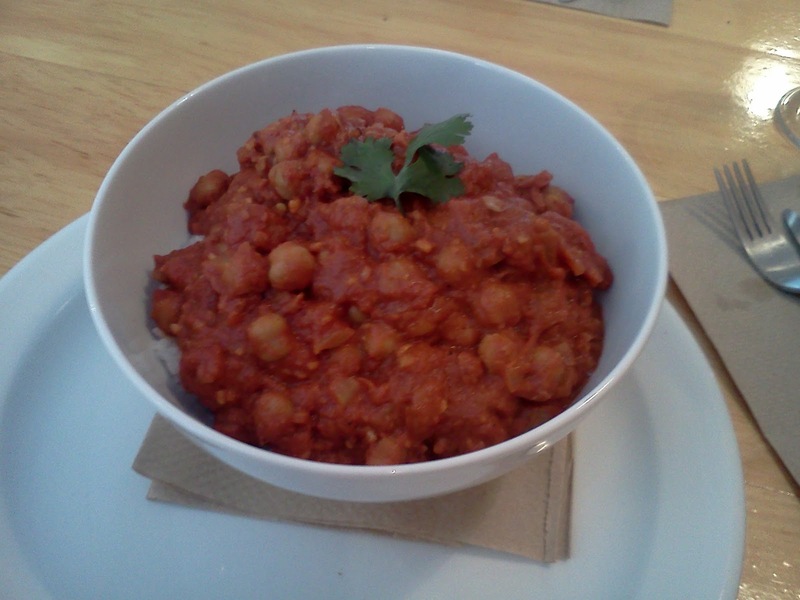 There was also a delicious and hearty chickpea curry on the menu. 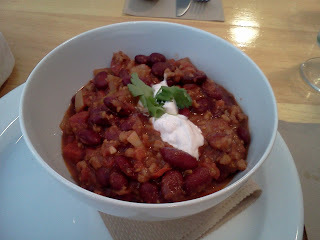 Speaking of hearty, how about some chili with sour "cream" and cilantro. Amazing! If you haven't gotten the idea yet, we really love Rise Above and hope they continue to do well so we can visit next time we're in the Great White North. Anyone who lives nearby is lucky and should check them out!